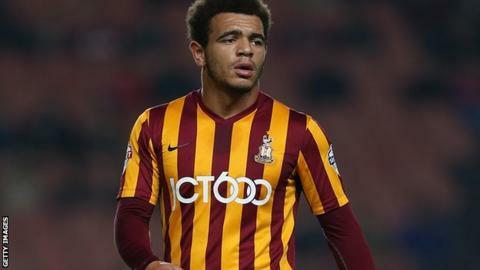 Derby County have recalled striker Mason Bennett from his loan spell with League One side Bradford City. The 18-year-old joined the Bantams in August and had been set to remain at Valley Parade until January. He made 13 appearances for the club in all competitions, scoring once in their 3-1 win at Crawley. Meanwhile, Rams midfielder Tom Naylor, 23, has extended his loan spell at League Two side Cambridge United to 93 days.